To receive Mary's renowned Daily H.E.A.R.T. Meditation audio download, please sign up below. We will NEVER share, rent, or sell your information.This is for a digital download not a physical CD. to access your inner knowing! In this 4-week course we will use Inner Access Creative Writing and Mandala Access Drawing as tools to tap into your Inner Guidance and to open a dialogue with your true essence and inner knowing. These are powerful tools used to engage your ‘right brain’ and no previous writing or artistic experience is necessary. The power to connect and gain this inner access is within all of us! This course is designed to take you step-by-step on a journey to discovering your Inner Knowing and Guidance within. You will feel a child-like wonder as you ‘play’ with the techniques and processes presented to you that naturally reveal a connection to your heart, your spirit and your inner self. Through writing and drawing exercises, you will engage your right brain, that creative, inspirational self that is within ALL of us. You will acquire daily processes through which you can engage in a dialogue with your true essence and higher guidance. You will begin to live life consciously, empowered to make the choices and actions that are truly in line with your heart and your higher purpose. We all have a knowing within that holds the answers to our deepest questions. Unfortunately, most of us have not fostered a relationship with this part of ourselves, so the information has lain dormant. Once we recognize and become familiar with this part of ourselves, we open up a dialogue with it and its beautiful essence is revealed. The more we cultivate this relationship and continue with the dialogue– magic, miracles and synchronicities begin to sprinkle throughout our day. We gain access to a never-ending well of knowledge that is perfect and appropriate for us as individuals and where we’re at in each moment in time. It is this connection to the Divinity within that enables us to tap in to gain insights, understandings and answers to our deepest questions. One of the key pieces to stepping into flow, creating abundance in all areas of our life, finding joy, well-being and healthy relationships, is not only connecting to Divine Inspiration, but is also taking Inspired Action. Most of us know that action is required in order to manifest in our outer reality, however we often feel stuck when it comes to knowing which steps to take. This new communication with your Inner Guidance will open you up to exploring and creating dialogue to reveal your next Inspired Action – clear guidance from within directing you towards the action that is the most important for you at any point in time. You will marvel at how magical your journey becomes through Inspirational Accessing and Inspired Action, as your small efforts manifest amazing opportunities, encounters and results. The Divine Inspired moments act like fuel to launch you forward in the direction you are wanting to go. This is for everyone who wants to connect within to their inner knowing and guidance, where direction and clarity is waiting to break forth with divine inspiration and daily guidance. The Mandala creation process is a fascinating tool that allows us access to our Inner Being through our right brain. Through artistic expression, we turn off the function within the brain that tries to analyze and ‘do’ and we tap into a dimension within us that communicates to us, revealing who we are and what is in our life at the moment. Even if you consider yourself to not be artistic in any way, you will be amazed as your ‘self’ is revealed through what shows up on paper. The final product is an amazing piece of inner art expression that almost speaks to you. Things you will learn are how to interpret the messages revealed to determine your emotional state, your purpose in the world, what your next step should be to take action toward your passion, or where you currently are in your soul’s journey, to name a few. The steps and tools that you will learn are very simple, easy and effective. Even if you have no experience as an artist, you will gain so much from this experience that it will become part of your regular practice to connect within and simply express what is bubbling up for you to know. Are you ready to learn tools to explore, uncover and transform your way of being? Are you ready to connect to your inner knowing and guidance within? Are you willing to shed your old (current) beliefs and your old (current) ways of being that no longer serve you? Are you ready to daily put into practice this remarkable information? Are you ready to create a new relationship with yourself? If you have answered yes to these questions, then know that YOU are ready, and this is for you! This is a 4 week program (8 calls altogether) in a group coaching environment, with 2 calls per week. On Every Monday: We will explore the creative writing process to tap into your inner knowing and inspiration. On Every Wednesday: We will open up to the information held within us through Mandala Accessing Creations. Each Mandala will hold valuable clarity to ourselves and how we are relating within the world. This is a joyous unfolding and discovery! Tools for explorational and discovery using the spontaneous Mandala Accessing Process! GET ready to tap into your knowing and access inner inspiration ready to bubble forth! 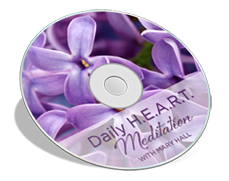 If you’re interested in this program please sign up for the Daily Heart Meditation and list to get updates and details on when this program will be available.